We’ve all had those moments of drawing a complete blank about what to give someone as a gift for the holidays. You know that person that doesn’t need anything or returns every present, or just someone you don’t know all that well on a personal level but feel obligated to give a gift to anyway (probably your boss). Instead of stressing about crafting the perfect gift, just hand that task off to a third party: a subscription based company. Don’t worry, it’s not as impersonal as it sounds. Instead, you could get a personalized gift that keeps on giving after December. Subscription gifts bring the joy of receiving something in the mail coupled with new items to taste, use or play with. Plus, it’s not too hard to figure out at least one area of interest for those hard-to-buy-for people. And luckily for you, there’s a subscription for just about everything! BillNinja.com put together a list of 13 perfect subscription gift options for people on your holiday list. Crafted Taste gives the cocktail aficionado in your life the ability to learn a new drink each month. You can gift mixers only for those with a fully stocked liquor cabinet ($65) or do a gift subscription to include the necessary, full-size bottle of alcohol for the cocktail ($130) or a premium kit that includes either higher-quality liquor or additional bottles ($200). Not interested in springing for a monthly subscription? You can do a one-time cocktail kit. Buying for someone more into the craft beer movement than a specialty cocktail? Then you should check out the Craft Beer Club. You can do monthly, bi-monthly or quarterly shipments. Each shipment includes three bottles of four different types of beer for a dozen total. Prices start at $39.00 for one month up to $443 for a year. Barkbox and Meowbox give your favorite animal lover gifts for their pets. Each Barkbox comes with four to five healthy treats and playthings plus one premium toy. A Meowbox is stocked with five to seven goodies. Barkbox can be shipped as a one-time box, for three months, six months or a year. The price points are $39, $99, $189, and $319 for those in the continental United States. Those in Hawaii and Alaska get charged an extra $5 per shipment. 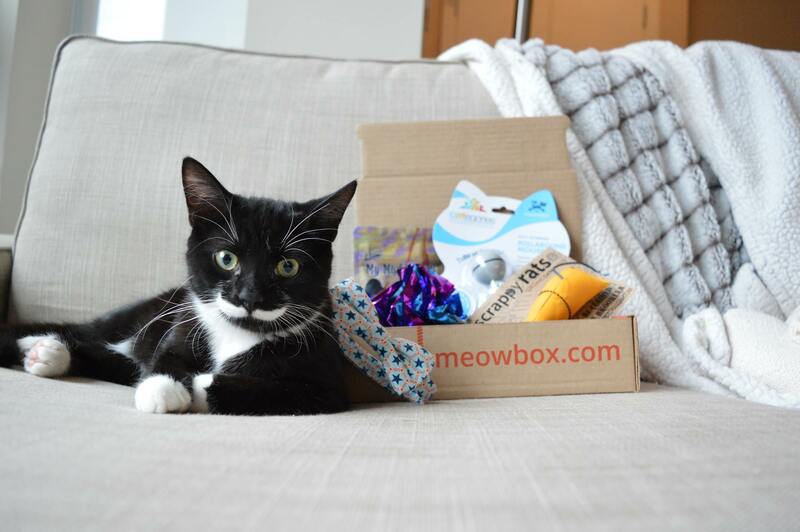 Meowbox can be gifted for one, three or six months and costs $32.95, $83.85 and $137.70 including shipping. Hulu – Hulu recently changed its pricing model to include a ‘Limited Commercial Plan’ for $7.99 or ‘No Commercial Plan’ for $11.99. You could also give the gift of SHOWTIME via Hulu for an additional $8.99 per month. This add-on comes with no commercials regardless of which base subscription you use. If your current TV addict uses Hulu, you could offer to upgrade him or her to SHOWTIME to increase the joyous binge watching. Netflix – Netflix pricing varies based on subscription model and when someone became a customer. New members will be charged $9.99 a month and existing members who subscribed before November 11, 2015 will pay $8.99 a month until October 2016. A premium plan is available for $11.99 a month and allows users to stream on more screens (up to 4). The basic plan is $7.99 and can only be used on one screen at a time and doesn’t provide high-definition video. If you want to give the gift of Netflix, you can even purchase physical or email gift cards through Amazon. HBO Now – The cord-cutters answer to HBO when you no longer pay for cable but want to stream the channel’s content. It can be streamed on a supported device for $14.99 per month. Amazon Prime – Amazon Prime gives more than the gift of TV, movies and music. It also provides free, two-day shipping on Prime eligible products. It’s a great gift for your recent college grad – or really anyone – but it does come as an annual cost for $99 and doesn’t provide a monthly option. Gifting to someone that loves all things beauty products? Then subscriptions to Birchbox or Glossybox will be a monthly treat. Both models offer customized beauty products based on a profile your gift recipient will fill out. It’s a fun way to diversify your beauty regime without breaking the bank. Glossbybox allows you to do one gift box, a six-month subscription or a year for $25, $150 or $250. You could also send a gift card. 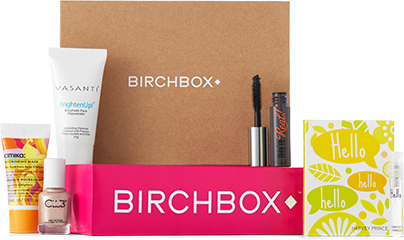 Birchbox is available for men or women. The men’s boxes cost $60 for three months or $110 for six months, while the women’s subscription is $30 for three months, $60 for six months or $110 for a year. Men may also appreciate the gift of a good shave from Dollar Shave Club. A basic 4 X Razor subscription comes with four 4X cartridges each month and the first box also includes the 4X razor handle, Dr. Carver’s Shave Butter and Dr. Carvers Post Shave. You can gift it for three months at $40, six months at $60 or a year for $100. Who loves remembering to buy razors? When we said there are subscriptions for just about anything, we meant it. You can satisfy the self-proclaimed gamer geek on your list by gifting a subscription to GamerCrates. Each month focuses on a game (or game genre) and the box comes stocked with themed products.Previous boxes have included Minecraft t-shirts, a slime mug, zombie blood and a cortana chip replica from HALO. GamerCrates cost $19.99 per month plus shipping and handling if you just do a one-month trial. The cost decreases as you subscribe for longer periods of time; with one year setting you back $18.49 plus shipping and handling. You can cancel at any time. You could always spring for an Xbox Live or Xbox Live Gold subscription. Be sure to look for coupon codes! Plenty of subscription models run specials during the holidays, which could mean saving yourself a little bit on your holiday shopping. And don’t forget to unsubscribe after the gift has expired. Don’t worry, BillNinja can help you there. Erin Lowry is a BillNinja contributor. She enjoys writing about all things personal finance, especially when it can help millennials save some extra money.